Did you know that origami isn’t just useful for creating swans or cranes – or folding solar arrays for launch into space? It’s also making cutting edge mini tools to make medicine less invasive. 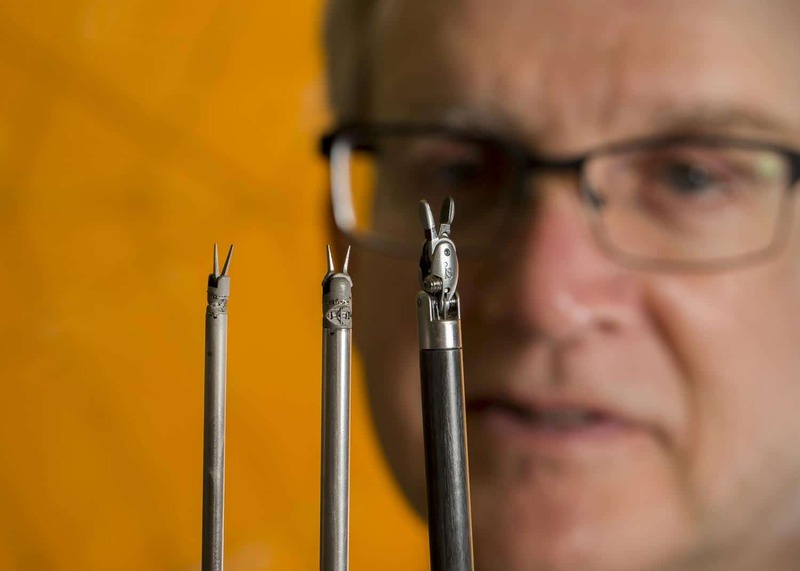 A team of mechanical engineering professors from Brigham Young University have been applying its principles to bioengineering, designing surgical technology that could produce instruments so small that incisions can heal on their own without sutures. One example is the D-Core, a device that starts out flat and then expands to become two rounded surfaces that roll on each other, mimicking spinal discs. Another is a 3D printed robotically-controlled forceps which can pass through a hole as small as three millimetres, opening up new possibilities. Though death rates from complications of surgery have declined in recent years, the idea of shrinking tools to make surgery less invasive is a good one. The tools have been licensed to Intuitive Surgical, the world leader in robotic surgery, who hope to make these surgical procedures as safe as possible so that one day they can manipulate things as small as nerves. Tags: 3D printing, Digital fabrication, Medicine, Robotics, Surgery.